Francine's Friends: Your Chance for Room Makeover in Nov./Dec. 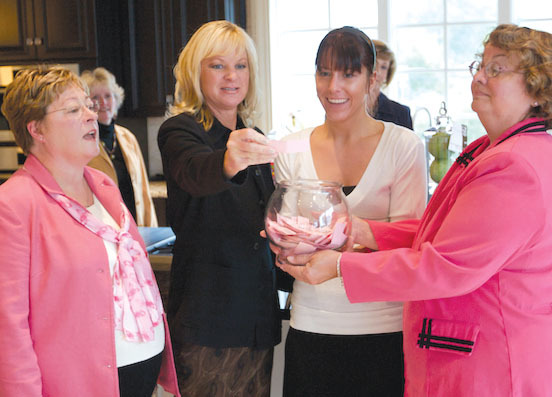 Thanks to Cindy Friend Lifestyle Studio, all Allen County women receiving a mammogram on the coach during the months of November and December may enter to a drawing to win a room makeover! The drawing (a $2,500 value) will be held in early January and the lucky winner will be announced then. "I was a guest at the 2007 breakfast and left it inspired and thinking of how I could help," Said Cindy Friend, Owner and Interior Designer of Cindy Friend Lifestyle Studio. "The drawings/makeovers continue to be successful and inspiring for us as well as the winners." To schedule an appointment, call 260-483-1847 or 1-800-727-8439, ext. 26540 (unless noted otherwise noted — click here to see remaining schedule for 2010). Appointments preferred and should be scheduled prior to the date. Walk-in openings are available depending on schedule.